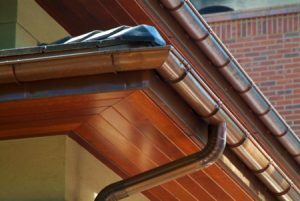 If you’ve ever researched putting copper gutters on your home, you may already know all of the great benefits to their installation. Copper gutter systems are beautiful, but they only become beneficial when they are installed correctly. At Minnesota Leafless Gutters, we are your premier copper gutter company that has been performing copper gutter installations for over 17 years. If you are searching for copper gutters, come to the experts that know them best, Minnesota Leafless Gutters. Copper gutters are not easy to install, even for a seasoned gutter installer. Apart from being stunningly beautiful, copper gutters are known for a variety of benefits. The largest benefit for those of us living in Minnesota happens to be how extremely durable they are. Minnesota is considered an extreme climate state. With harsh, cold winters and hot, humid summers, the weather plays a large role in determining what type of gutter system best suits you. Copper gutter systems do not rust or rot and they do not weaken even when exposed to extreme elements. In fact, the more that copper gutters age, the more rustic and beautiful they look, turning into a beautiful patina. This unique and beautiful look takes a couple of years to achieve, but once it’s there, it’s impossible not to admire it. Copper gutters outlast any other material that can be used for gutters – from vinyl to steel. It is extremely low maintenance and can last at least 50+ years, making it worth the added expense. If you are going to make an investment in copper gutters, isn’t it important to get it done right the first time? Minnesota Leafless Gutters has experience in copper gutter installation that outweighs the competition. We install seamless copper gutters that make it more affordable than what older models used to be. 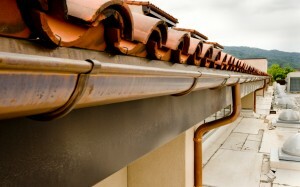 In the past, copper gutter systems had transitions that caused leaking joints that needed to be re-soldered. With our seamless copper gutter systems, not only is it more affordable, but there is also less maintenance and it can last for years and years to come. Ready to learn more about copper gutter systems and discover if they are the right fit for you and your property? For more information about copper gutters, it only makes sense to connect with your local copper gutter company, Minnesota Leafless Gutters. For more information about our copper gutter company or to get an estimate for your copper gutters, contact us today at (612) 221-0362.